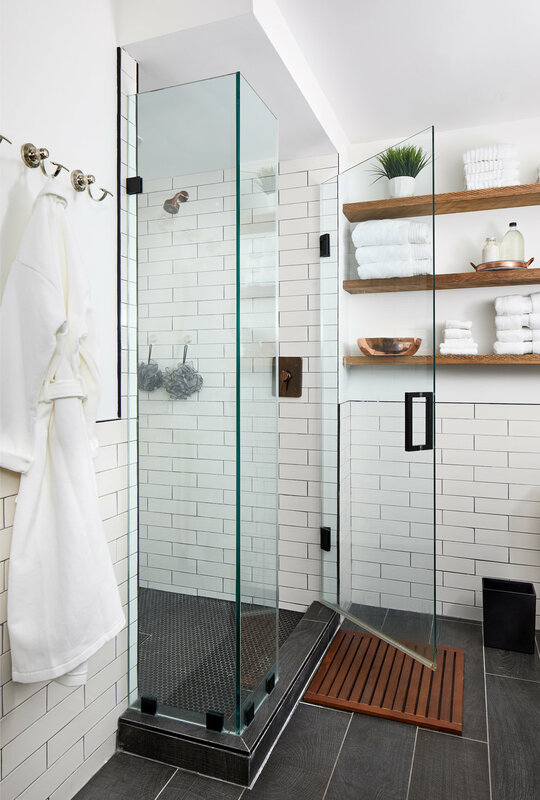 A complete gut of the master bath created a blank template for this couple to get exactly what they wanted: A soaking tub, a roomy shower, and a double vanity with exposed and hidden storage; not to mention floating shelves for extra linens. 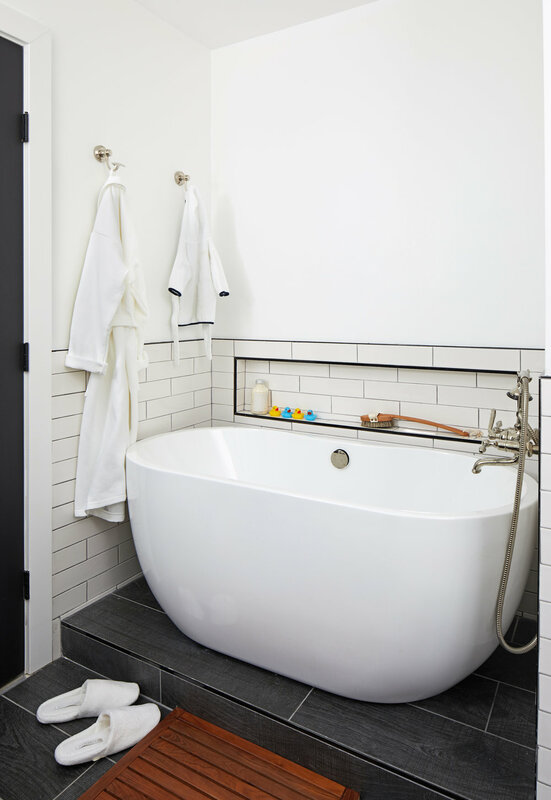 A nook in the second bedroom created the perfect spot for a built-in changing table for the new baby. 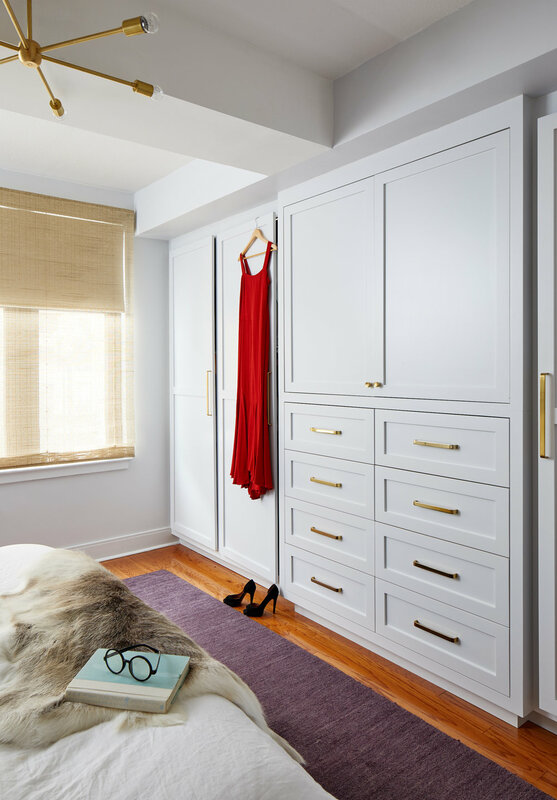 With a lack of closet space, the master bedroom was transformed with the addition of a customized built-in storage system.